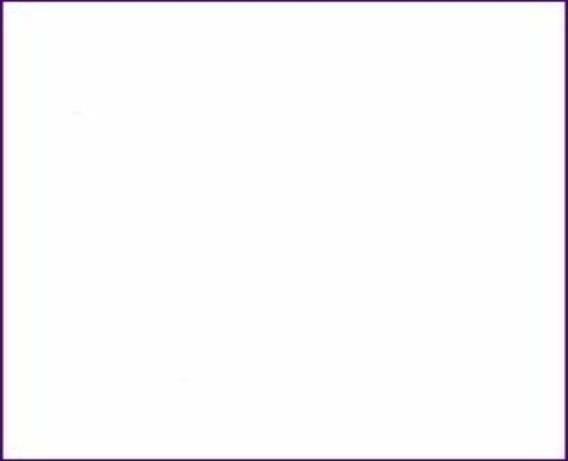 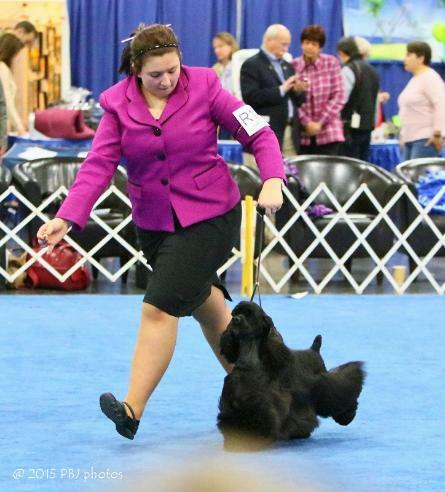 Megan Pruitt of PBJ Cockers. 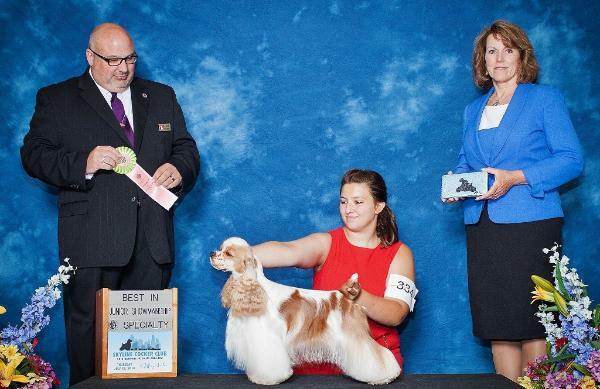 at ASC July 2013 under Judge Mr. Jim Fehring. 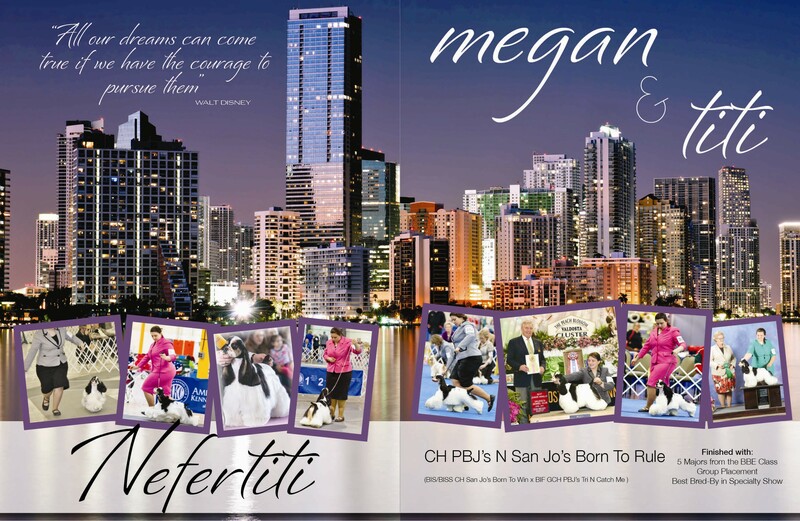 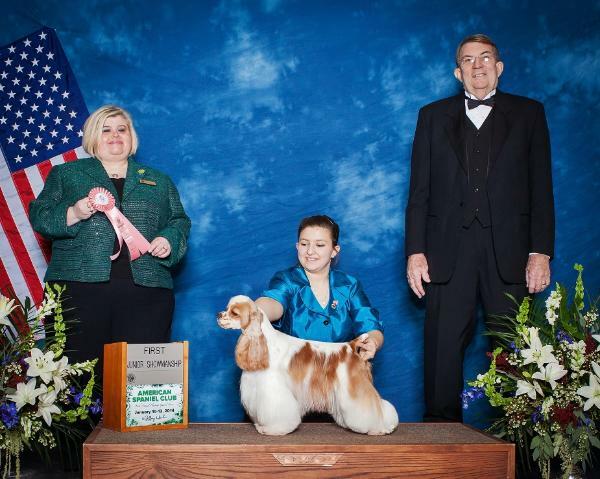 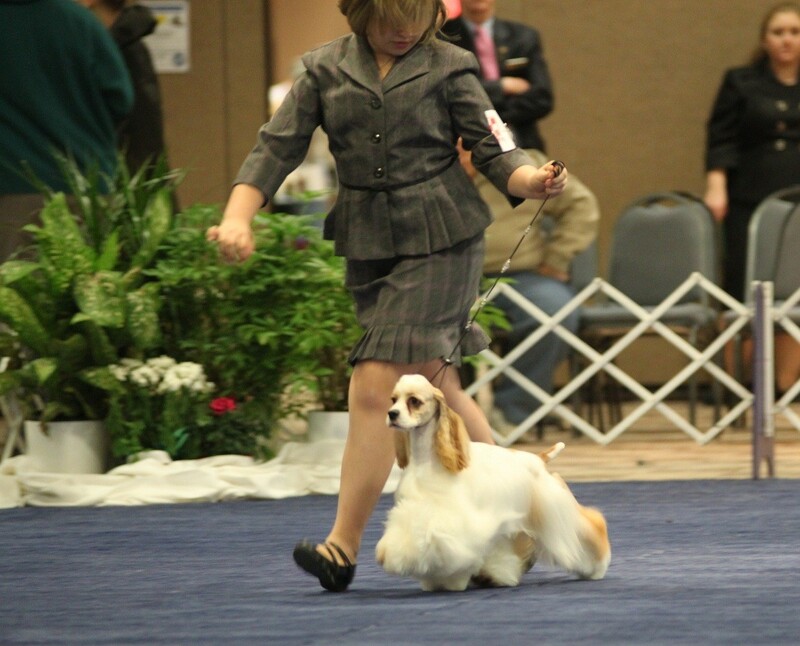 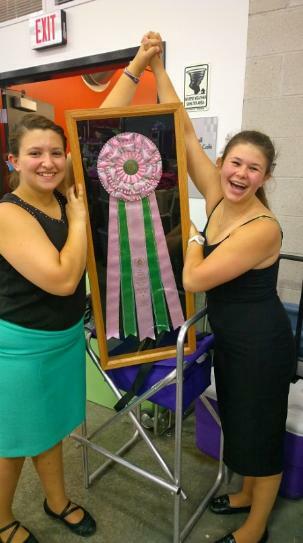 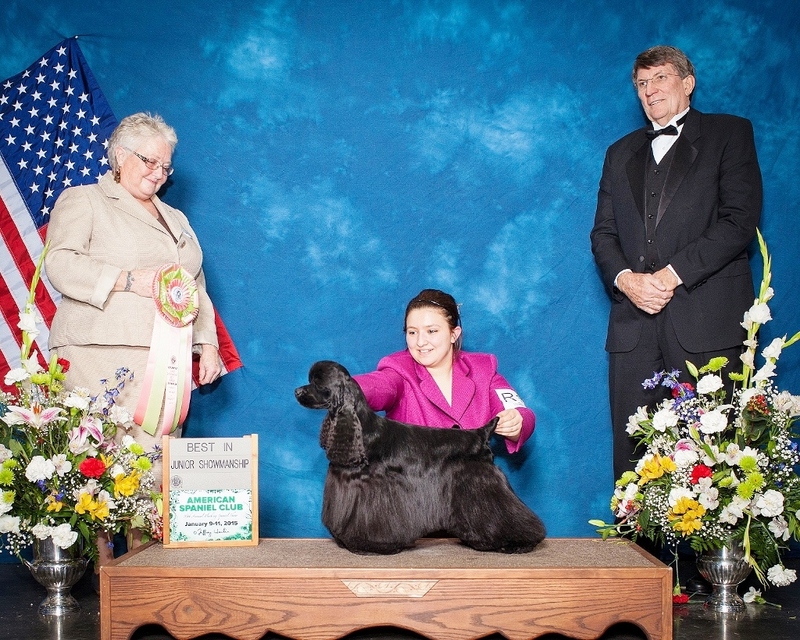 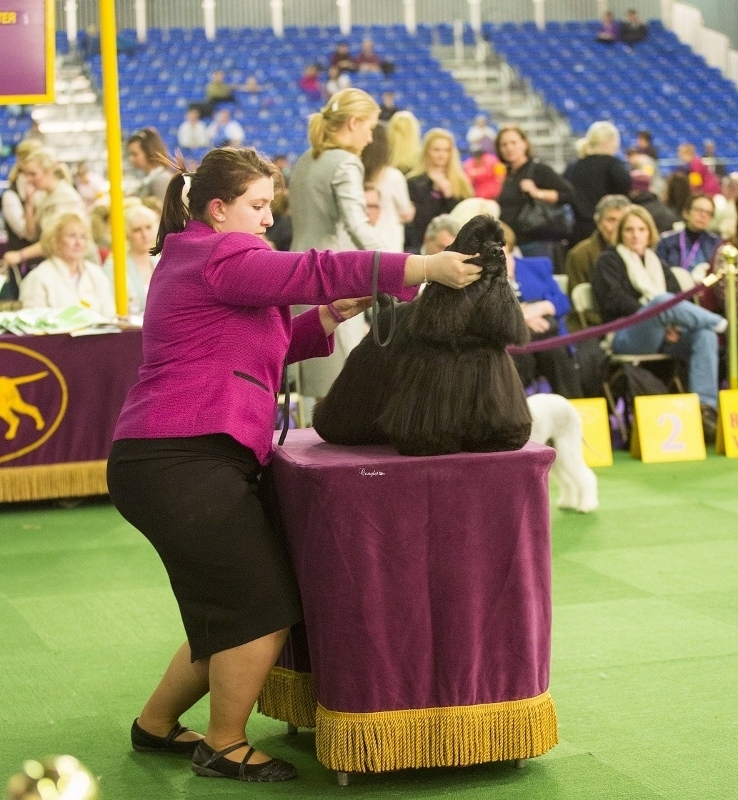 Megan and Sky win First in her Juniors Class at ASC January 2014.
in Rush, New York under Judge Mr. Hal T. Bierman. 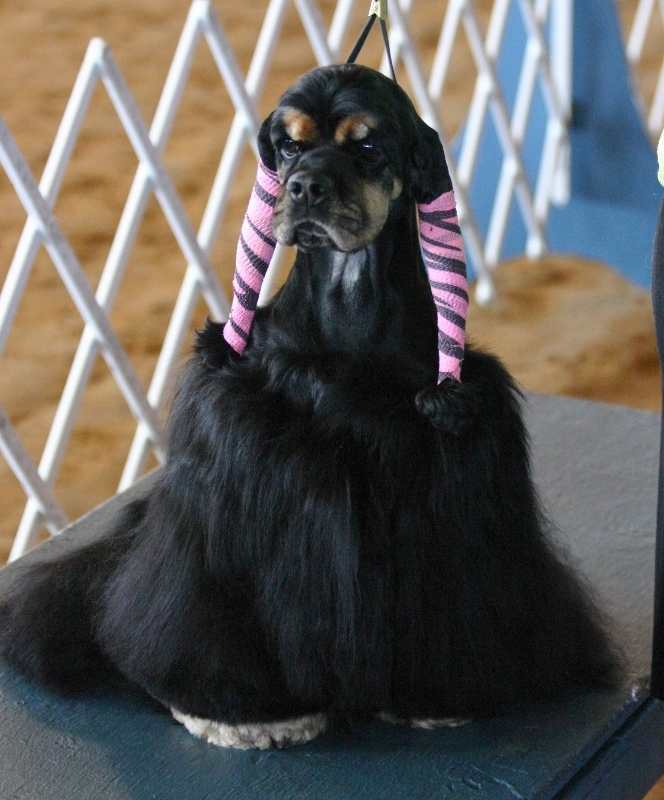 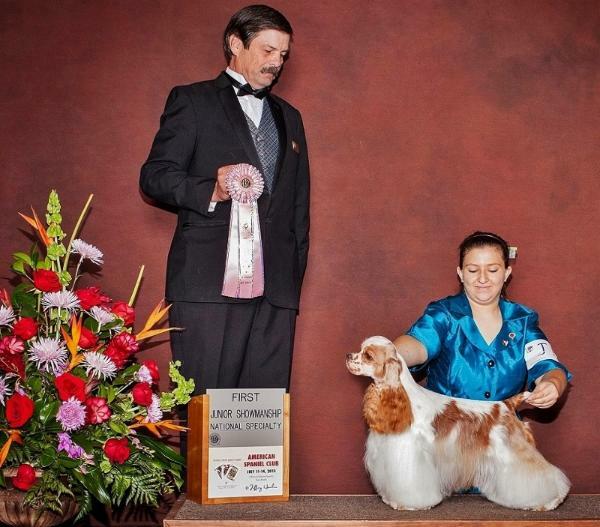 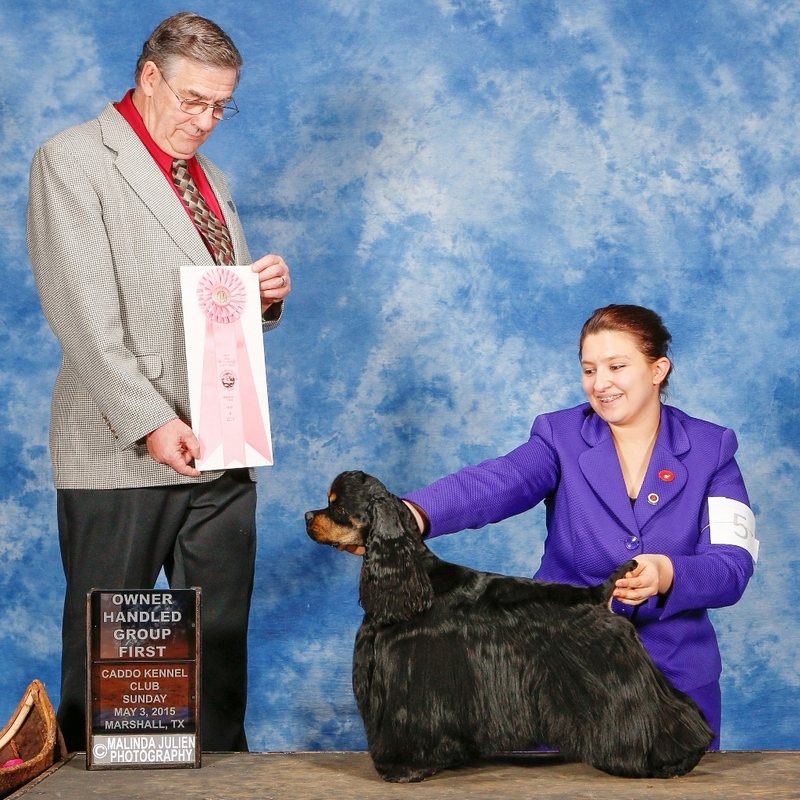 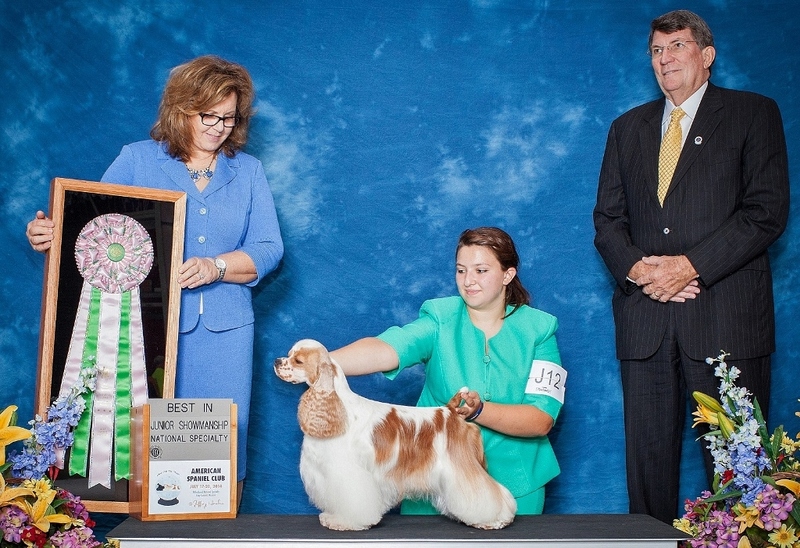 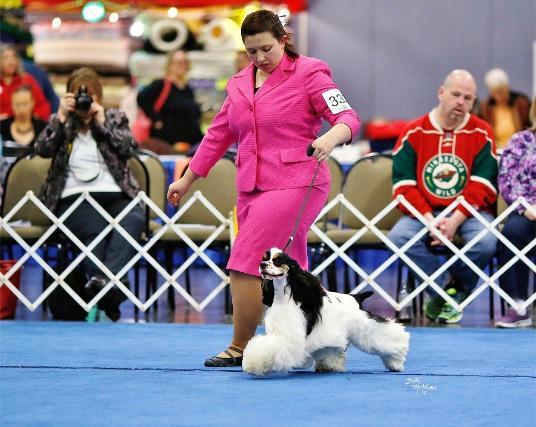 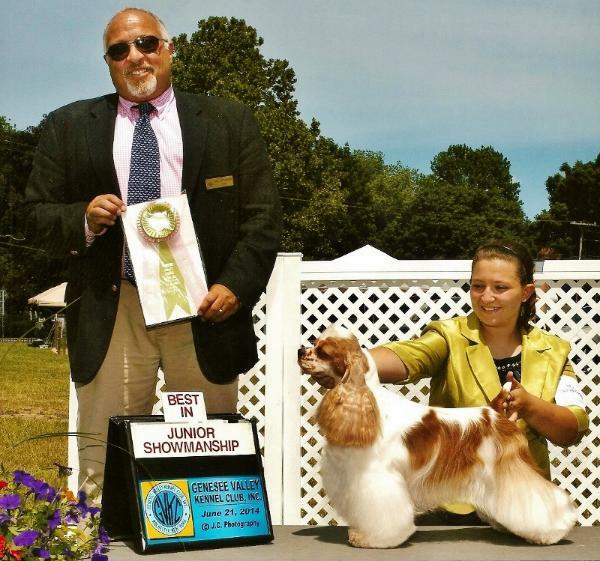 Showing off her Rosette with good friend Lizzie..
at the Skyline Cocker Specialty in July under Breeder Judge Mr. Kevin Flinn. 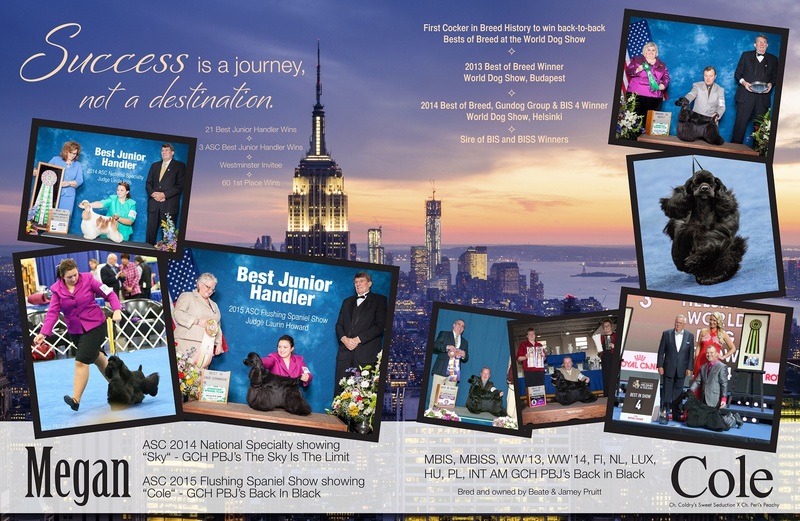 at ASC January 2015 under Judge Mrs. Laurin Howard. With Titi at ASC January '15. 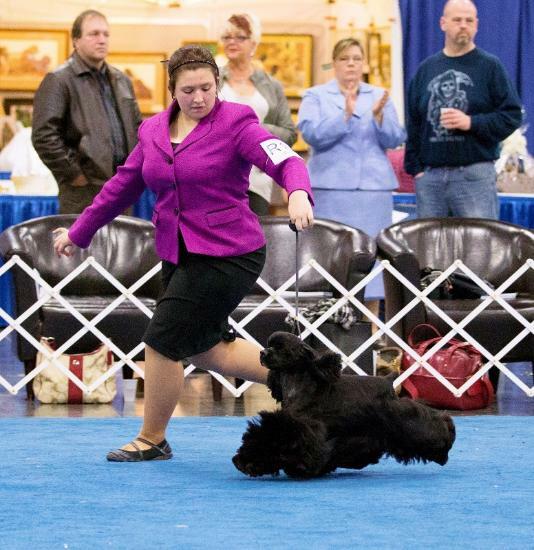 Cole at ASC January 2015.
at the Caddo KC show in Marshall, Texas on Sunday May 3rd 2015.